Uppsala University is a centre for knowledge, culture and critical dialogue, with the task of gaining and spreading knowledge to the benefit of humanity and for a better world. Uppsala University is the first university in Sweden and is ranked among the top 100 in the world. We are well-equipped to meet the challenges of tomorrow. Our research enables new perspectives on fundamental scientific questions, and contributes to environmental sustainability, human health and the development of society. Here you will find world-leading research and first-class educational offerings of global use to society, industry and culture. 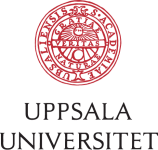 Uppsala University has diversity and breadth, with international front-line research across nine faculties and a limitless educational offerings at Bachelor’s, Master’s and PhD level. A study from Uppsala University has found that whether you store your fat around the trunk or in other parts of your body is highly influenced by genetic factors and that this effect is present predominantly in women and to a much lower extent in men. In the study, published in Nature Communications, the researchers measured how fat was distributed in nearly 360,000 voluntary participants.